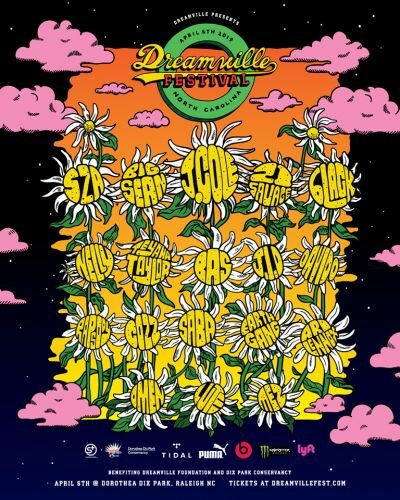 J. Cole has unveiled the lineup of the Dreamville Festival that takes place on April 6. SZA, 21 Savage, Big Sean, Teyana Taylor, Davido, and more will be taking the stage for the one-day event. J Cole 's inaugural Dreamville Festival was postponed last September due to Hurricane Florence's untimely arrival to the Carolinas. The KOD rapper has since rescheduled the event for Saturday, April 6th, and today he's unveiled the acts who'll be joining him on the lineup.